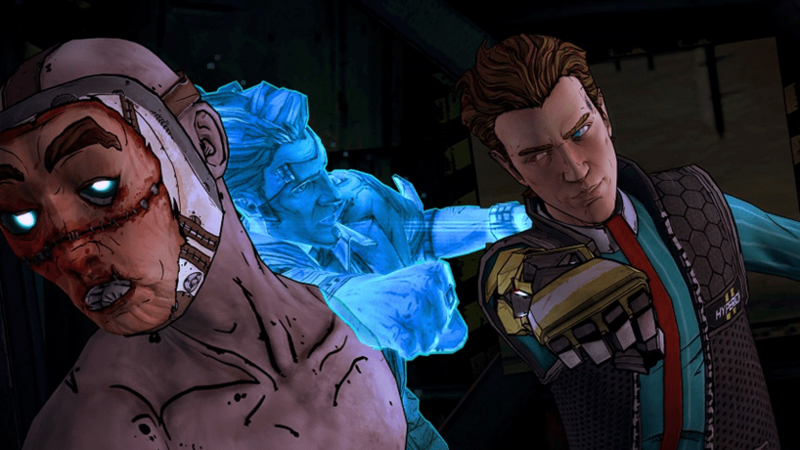 Tale from the Borderlands could easily be one of your favourite Telltale productions, and for good reasons. The weird marrying of a action RPG and point and click adventuring was one that onlookers dubbed dubious at first, but its sharp writing and wit exuded from five episodes of hilarity and tension. It’s one of the properties Telltale has yet to revisit, and we finally might know why. In a retrospective on the series, many developers who work on the season recall how disappointing sales were, and just how dire things really got at the end. The oral history of Tales from the Borderlands was part of a Campo Santo quarterly review, where it was revealed that the game was essentially wrapped up by a group of developers working on the project voluntarily. A skeleton crew was put on the project in its closing days – a result of mid-season sales that didn’t impress studio heads and couldn’t come close to the rest of the series being produced at the time. In order to finish it, one of the game’s directors, Nick Herman, recounts how a deal was struck to move most of the staff onto other titles. That might surprise you, because critically there seemed to be no indication of a quality drop with the smaller skeleton team. But even with this move Telltale didn’t seem happy, with the project deemed a failure internally. Something Herman seems quite sad over. This would likely explain why despite popularity among critics and players, Tales from the Borderlands is one of few elusive Telltale series to yet get another season. We waited years for a sequel to The Wolf Among Us, so one can only hope we’ll eventually get there.